I was an intern at Seattle Children's Innovative Technologies Laboratory (SCITL). 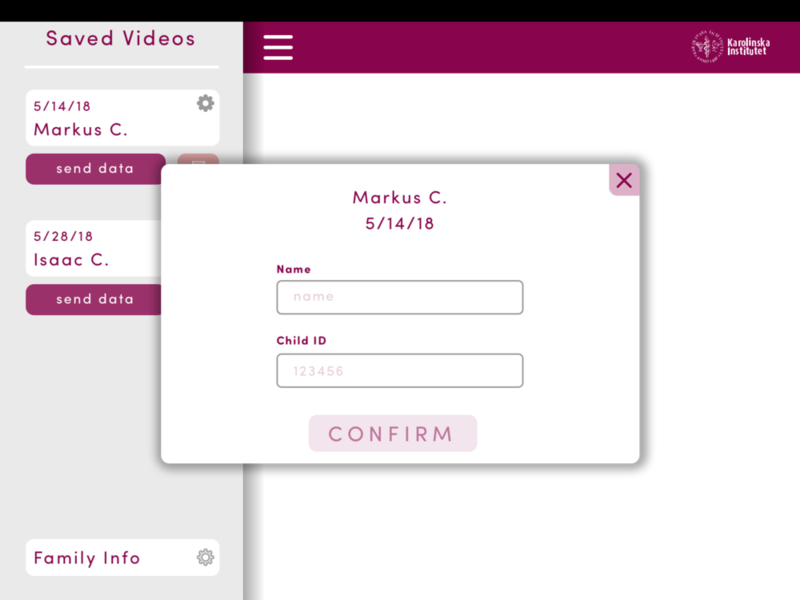 While working in their Autism Center Facility alongside researchers and computer scientists, I developed marketing material for families of Autistic Children while also creating wireframes for an eye-tracking applications. SCITL is the leading innovative departments of Seattle Children’s Hospital. They are dedicated to understanding and improving the lives of children with Autism. I was asked to create a research study logo to replace the old version in an attempt to reinvent the labs identity. 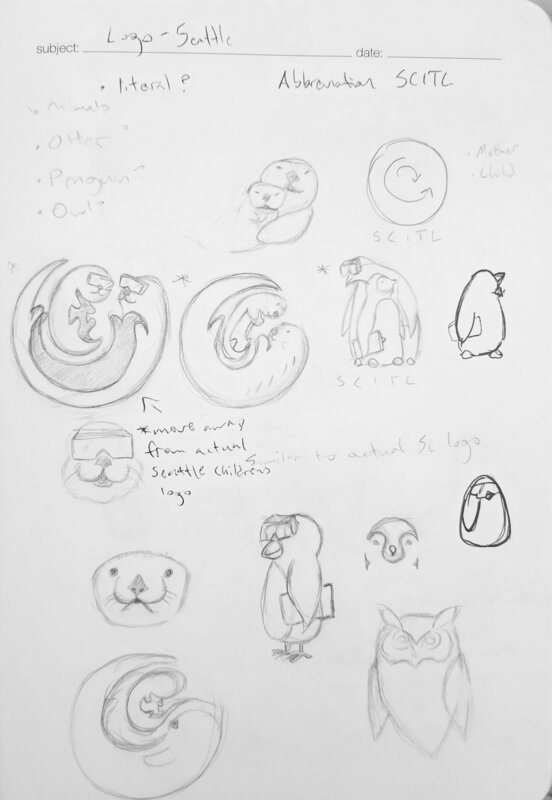 I sketched different iterations of animals that I thought would be consistent with the Seattle Children’s main logo of two whales. The SCITL team agreed to use the baby otter as their primary research logo. While designing the logo, I kept in mind the technologic influence that the department had. This gave me the idea to integrate the technology they use in conducting their research (Microsoft hololenses and Ipad). The new research program was to be conducted with young participants between the ages of 2-17. This program would be a 3 year research study that would help understand the brain activity and eye-tracking. This booklet is a gift to participants of that study in which it would showcase the participant photos as they grow up. I created all the illustrations. This brochure is to promote and provide clarifying information to parents and participants in the Social Cognition and Technology Study being done at the Autism Center. On the left is the previous version of the brochure which is uninteresting and does not represent Seattle Children’s the best it can. I developed a new brochure with the most recent data and information that is relevant to the study while improving the graphical experience on the right. I was tasked with developing user-interfaces for a new research study that involves eye-tracking technology. This application would be in collaboration with Karolinska Institutet and Seattle Children’s. Goal: To gain further understanding of social and cognitive interactions of babies with Autistic Spectrum Disorder through gathering data on eye-tracking information. Audience: Families and their Child (Up to age 3) with Autistic Spectrum Disorder. During the production of this app I was provided the initial wireframes of the application by the associate researcher in my team. 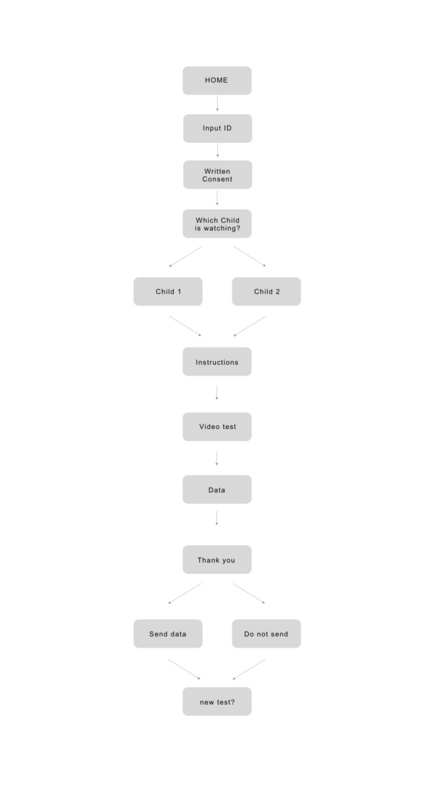 When I received the wireframes, I decided to create a simpler sitemap to better understand the needs of the user and the userflow that was more refined than the powerpoint wireframes. I went into sketch and quickly created the most important tabs that the user would interact with. Once I had created the sitemap, I moved into sketch again and built the wireframes while implementing better navigation and recognizable system interfaces. I delivered all the assets to the developers to build the application. Overall, interning and consulting with the SCITL team had made me respect the research behind understanding complex problems. I believe that this has helped me realize that the design process is similar in that we must value the development of design and not just the final product. Each project that I did was part of a much bigger solution and that is what I think design should reflect in the world.